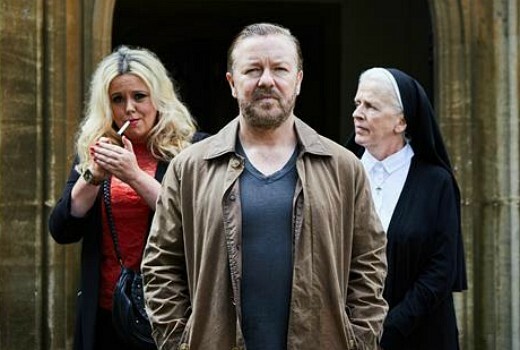 The new Ricky Gervais comedy After Life will drop on Netflix on Friday March 8. Gervais is creator, executive producer, director and star. The series also features Kerry Godliman, Tom Basden, Tony Way, Penelope Wilton, David Bradley & Ashley Jensen. It sounds like something original which we don’t get much of anymore. ‘The office’ was his masterpiece and nothing of his work since has come close to it in my opinion; maybe this will. I hope so anyway. See for me, Extras is as close to a perfect show as you can get of its type. I think that is his masterpiece. It’s flawless.